From the moment Ben Affleck announced his decision to vacate the director’s chair on The Batman, a fierce debate has gripped the Internet, and it all revolves around one simple question: will he? Or won’t he? Granted, the tide looked to have turned in favor of Affleck reprising as the Caped Crusader once Matt Reeves (War For the Planet of the Apes) signed on at the helm. Heck, the Oscar-winning filmmaker has purportedly been spotted at the gym to begin his rigorous training regime for The Batman, but the ongoing silence from Warner Bros. only continues to provide fuel for Hollywood’s relentless rumor mill. Will he? Or won’t he? One member of the Warner/DC camp who firmly believes Ben Affleck will don the cape and cowl in a post-Justice League world is Charles Roven. Chatting to JoBlo, the DC producer and all-around comic book mainstay stressed that although he’s not actively involved in the film’s production, he has “every expectation” that Affleck will reprise as the World’s Greatest Detective beyond 2017. I mean, I’m not really involved with The Batman, but from everything… We have a cursory involvement because that character is going to touch us some way. If Ben plays that character it’s going to touch some part of what we are doing. But I have no feeling whatsoever except positive that Matt loves Ben and the work that he has done as Batman, and Ben thinks that Matt is a really terrific filmmaker. I have every expectation that they are going to make a movie together. Though he may not be calling the shots from behind the lens, it’s worth keeping in mind that Ben Affleck still holds an executive producer credit on The Batman, which tells us that the actor-director still holds some creative leverage when it comes to the Dark Knight’s next solo outing. Indeed, we’ve seen in the past how individual actor contracts tend to stir up debate, and while he doesn’t comment on anyone in particular, Charles Roven hinted that all of the major actors within the DCEU will be hanging around for some time – including The Flash‘s Billy Crudup, it seems. Well everybody is different, depending on when the deals were made and how many they’ve done. 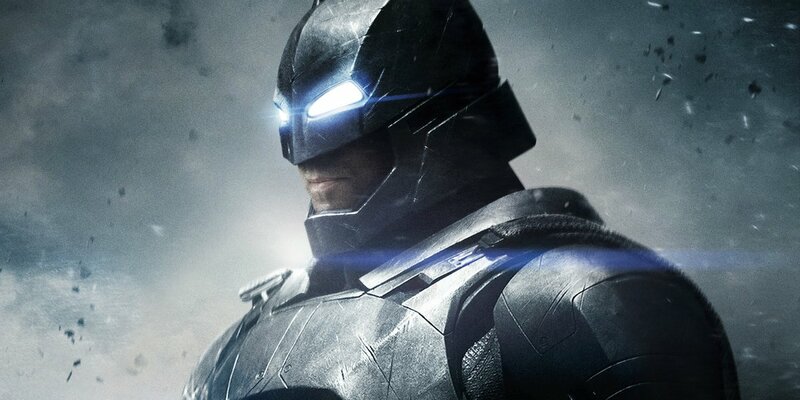 Ben [Affleck] has done Batman v Superman, Suicide Squad and Justice League right. Gal has done Wonder Woman, Justice League and Batman v Superman. They all have deals, I’m not exactly sure – I couldn’t sit here and tell you this one has so many options left and this one has no options left, or whatever. The great news is that in terms of my best read of the situation, everybody loves the characters they play. This is not just the lead good guys, it’s the bad guys as well, or the bad but not evil members of Suicide Squad. I think everybody really likes those characters. I think all of the actors would like to be part of another one. Still nothing to report on The Batman‘s release schedule, and that’s unlikely to change until War For the Planet of the Apes storms theaters in July. Meanwhile, Wonder Woman is the next piece of the puzzle, and it’ll be with us on June 2nd.